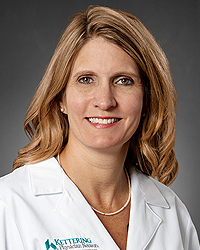 Eve Connolly, MD is a practicing family care physician at our Urgent Care in Xenia, OH. Before moving to Ohio in 2015, she worked for Kaiser Permanente in Vallejo and Vacaville, California Emergency Department Rapid Care. Her prior employments as community physician in Mountain Home and serving her country and fellow airmen working as an active duty Air Force Family Physician in multiple locations throughout her career is testament to her dedication and excellence in providing excellent critical and emergency care to all those in need. Her commitment to patient care mirrors the Network’s mission to improve the quality of life of the people in the communities we serve.